The eLEND Renovate Your Life Makeover Sweepstakes is open to legal residents of the 50 United States (including the District of Columbia, but excluding Puerto Rico and all U.S. territories, possessions, and commonwealths) who are 18 years of age or older. 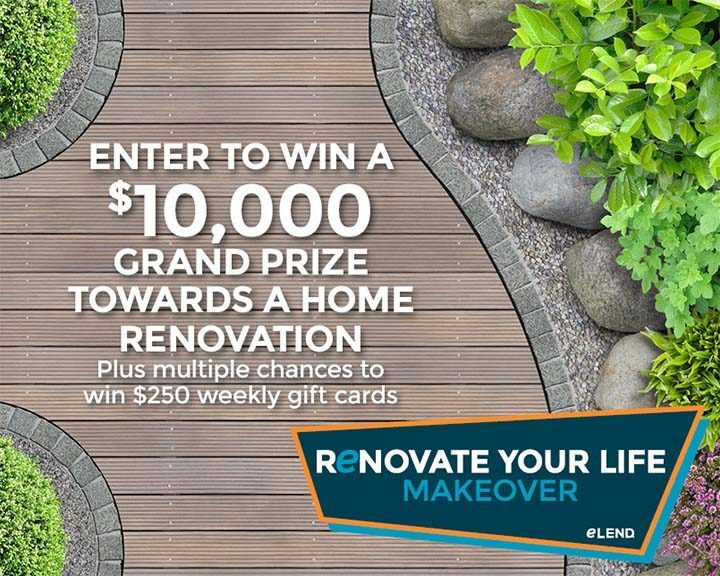 The eLEND Renovate Your Life Makeover Sweepstakes concludes at 11:59:59 P.M. ET on July 21. Eligible Entrants can enter the promotion by going to woobox.com/zs9ewx and upload a picture with an explanation why they should win the $10,000 check. Limit one (1) entry per person/email address/IP Address per Day. Weekly Prize: The Sponsor will award one (1) winner one with a $250 gift card. Grand Prize: The Sponsor will award one (1) winner one with a $10,000 check.